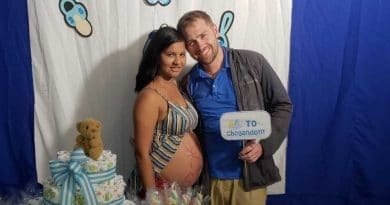 90 Day Fiance: Is Paul Staehle The Daddy of Karine’s Baby? 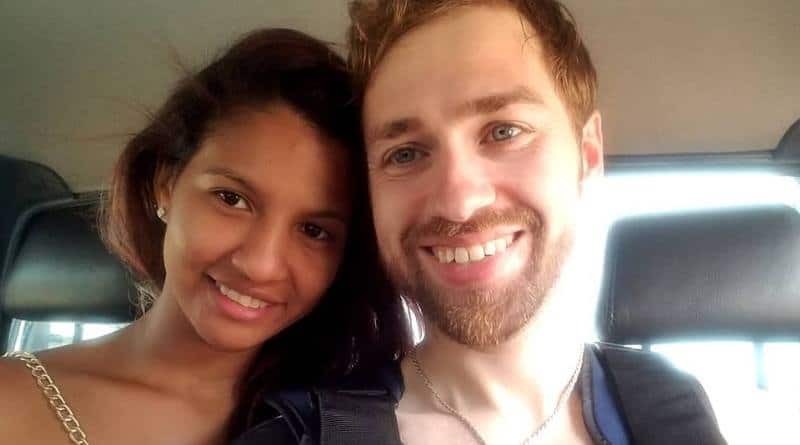 90 Day Fiance: Before The 90 Days star Paul Staehle is responding to rumors swirling on social media that he is not the father of his wife Karine Martins’ baby. The couple revealed Karine’s pregnancy on the last TLC Tell All. Since their announcement, paternity rumors were never quite squashed. Fans still question whether Paul is the baby’s father. 90 Day Fiance: Before The 90 Days star Karine Martins faithfulness to husband Paul Staehle is an ongoing bone of contention for the couple and has been pretty much from the start. Karine is a flirt. Paul is jealous and untrusting because he has been burned by exes in the past. Paul confronted his wife for messaging other men. Karine indeed admitted to messaging guys but denied cheating. She said the men she talked to lived far away. Paul was adamant about wanting a DNA test on Karine’s baby. 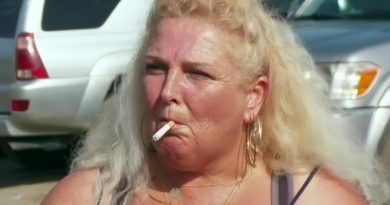 The bold request was made on the 90 Day Fiance Tell All episode back in October. Paul’s request blindsided his wife and reduced her to tears. Fans as recently as this week clamored online accusing Karine of unfaithfulness. The chatter says she has been living with a secret boyfriend named Lucas for the last five years. These same trolls said Karine is using Paul Staehle for a green card. They accused her of planning to divorce Paul and move this other guy to America so they can be together. For those who did not read the articles. He is a boy. 90 Day Fiance Paul Staehle did not take kindly to the rumors swirling about wife Karine Martins. He doesn’t seem happy she’s been accused of infidelity. And he doesn’t like the questions on the baby’s paternity. Paul defended his wife in a statement posted on Facebook (which he later deleted), but we grabbed it before it disappeared. Paul further added, “So no crazy rumors or spoilers begin when we both go dark in January to focus on our new family.” Paul and Karine dealt with a lot this past year with her miscarrying then having emergency surgery, so internet trolls talking smack about their baby can’t sit well. Although he rapidly deleted the post, the message is clear. 90 Day Fiance Paul Staehle is 100% certain he’s the baby daddy and doesn’t want anyone trash-talking his woman! Karine Martins and Paul Staehle are anxiously awaiting the birth of son Pierre Staehle. Karine is reportedly having a smooth pregnancy after the couple suffered two heartbreaking miscarriages. Paul and Karine both are excited to welcome their new addition and start their lives as a family of three. Karine has shared many updates on Facebook featuring her growing baby bump. The 90 Day Fiance couple recently celebrated their one year wedding anniversary. Sadly they celebrated in different countries as they’re apart, for now. Hopefully, this couple will be soon reunited soon as they prepare for the March arrival of their son Pierre. 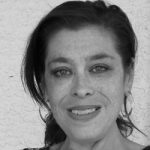 Let’s see if Paul’s firm statement defending Karine Martins finally puts this non-controversy to rest. The buzz is that TLC is set to film another season of 90 Day Fiance: Happily Ever After. No doubt many fans of the franchise would love to see Paul and Karine cast as one of the couples. That way viewers could see the birth of little Pierre was documented on-screen. We’ll keep you updated on this and other 90 Day Fiance developments. Lifelong Daytime soap fan here! I have watched Days of Our Lives since the womb....now I would also consider myself a reality tv "junkie". Writing about the shows I love is the perfect marriage of my passions! ’90 Day Fiance’: Ashley Martson Cheating When She Met Jay Smith in Jamaica?